The Disney movie currently under development, “Tomorrowland,” has been surrounded by a few mysteries. “Tomorrowland” was originally titled “1952” and the story was rumored to be related to an old storage box found at the Disney studios. The box was labeled “1952” and contained photos, books and other items related to Walt Disney’s activities. There was speculation that the movie could be about long-standing claims by Disney insiders that high-ranking U.S. officials approached Walt Disney in the ‘50s to make a film about the realities of UFOs, intelligent visitors from elsewhere and related aspects of the situation. Coincidentally, another old cardboard storage box was recently in the news in connection with UFOs, the Roswell incident and extraterrestrial visitation. Chase Brandon, a 35-year veteran of the CIA and the agency’s liaison to Hollywood and the publishing world, went public with a claim that he found a storage box at CIA headquarters. Brandon stated that the contents of the box convinced him the Roswell case really did involve a crashed extraterrestrial spacecraft. “Tomorrowland” writer Damon Lindelof, director Brad Bird and star George Clooney have not revealed details of the story publicly. Of course, some elements of the movie could still be evolving. 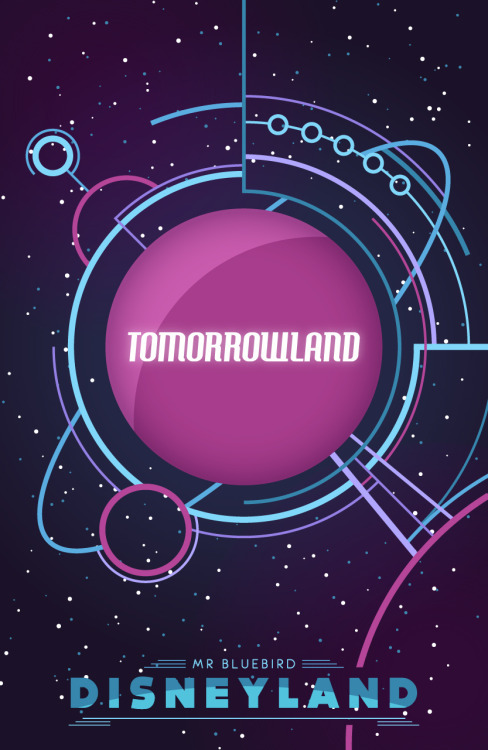 More recent reports indicate that “Tomorrowland” may not be about UFOs and intelligent visitors at all. However, the year 1952 does resonate when it comes to the UFO phenomena. Three major developments in 1952 reach into the heart of the UFO mystery: The formation of the Air Force’s Project Blue Book, the Washington, D.C., UFO sightings and the alleged secret briefing of incoming President Dwight Eisenhower on UFOs. After the 1947 reports of a crashed UFO near Roswell and years of UFO sightings and reports in the U.S., the Air Force started Project Blue Book in 1952, based at Wright-Patterson Air Force Base in southwestern Ohio. This project was the public face of U.S. government activities on UFOs. Shortly after Project Blue Book began, in July 1952 a major UFO incident occurred over Washington. Multiple UFOs were sighted by reliable witnesses on the ground and tracked by radar. Military jets were scrambled. A Project Blue Book team member was in Washington at the time. Years later, alleged briefing documents for Eisenhower on UFOs surfaced in the public domain and were posted online. The documents were reportedly prepared by a high-level secret group and dated Nov. 18, 1952. Some researchers believe the documents are authentic or at least accurately reflect the situation at that time. So it does seem that 1952 was an eventful year for activities by the U.S. government focused on learning more about UFOs. Are these developments related to the “Tomorrowland” movie? Interestingly, Clooney was raised in the Cincinnati region, just a couple of hours drive south of Wright-Patterson Air Force Base at Dayton where Project Blue Book was based. And, the crashed spacecraft materials from Roswell, and possibly visitor bodies, were reportedly transported directly to Wright-Patt in the summer of 1947 immediately after retrieval in the New Mexico desert. The Air Force’s foreign technology intelligence center was located at Wright-Patt and had been active during World War II evaluating the aircraft technologies of foreign militaries. Clooney’s hometown Cincinnati is currently the headquarters for MUFON, the Mutual UFO Network, a major UFO research organization. Project Blue Book was also explored in the TV series “Project U.F.O.” that aired on NBC for two seasons in 1978 and 1979. Jack Webb of “Dragnet” created the series based on Project Blue Book. He reportedly used real government documents to get ideas for the show. And also airing on NBC, this time in 1996 and 1997, the TV series “Dark Skies” touched on Project Blue Book too. Creators Bryce Zabel and Brent Friedman started out the series with a young congressional aide going to Project Blue Book for his boss, a California congressman, to help determine if ongoing funding was valid. From there, the congressional aide is pulled into the secret group trying to coordinate the UFO situation. Maybe the Disney studios are continuing the activity that certain high-ranking officials allegedly approached Walt Disney about in the ‘50s. Disney had been very active in the war effort during WWII and had a cooperative relationship with the Defense Department and government officials. According to the late Ward Kimball, one of the original lead animators for Disney, Walt was approached about making a film about UFOs for the American public to explain that some UFOs were real spacecraft from elsewhere. Including such a film in the ‘50s “Disneyland” TV show was reportedly considered for part of the “Tomorrowland” episodes about space travel and the future. Work was begun on the UFO film, but then discontinued, Kimball claimed. Is “Tomorrowland” about the important UFO developments in 1952 that Walt Disney was involved in? Maybe. Maybe not. But audiences certainly seem to be ready to learn more about this unfolding and emerging story. Will “Tomorrowland” move the ball forward?